The dimly lit wings of Prenzlauer Berg’s Frannz Club gradually filled out to capacity last week as Blonde Redhead made a much-anticipated return to the city. The set opened with “Barragan,” title track of the group’s recently released ninth record. Brief and delicate, it was a fitting and somewhat ethereal prelude to the evening. What was perhaps most striking about the band was its elegance. Twins Simone and Amedeo Pace were both suited up, matching curls of silvery hair reflecting the glow like magnesium; Kazu Makino was in an open-backed red dress, reaching for a bowler hat between songs. Similarly impressive was the intense manner in which the band members looked at one another, almost fierce stares of synchronicity bound only to their sonic triangle, at other moments flinging wide-eyed glances to ask for tweaks from the sound engineer. This wordless intertwining isn’t completely surprising; Blonde Redhead has, after all, been creating music as a three-piece for just over two decades, not to mention the in-utero relation between two-thirds of its members. The set featured a number of tracks from the new record, still in their fresh and supple state after just a few weeks on the airwaves. “No More Honey” got a little lost with a missed verse, but watching the band push the performance forward like a ship through fog was rewarding in itself, highlighting the exquisite musicianship. “The One I Love” was a sweeping, melancholy ode to sorrow: “She does nothing all day/but sit down and cry” repeated the chorus, melting into gentle verses of guitar picking and breathy murmurs. Admittedly, the night didn’t quite hit that explosive mark where movement becomes involuntary; the vital throb was somehow just beyond grasp. In comparison to photographs from shows in Paris, for example, in which the band filled the wings of a beautiful old theater, it instinctively feels like more delicate surroundings better suit the group’s elegance. In the same breath, to see them in such close and intimate quarters was special in itself. The closer could have been nothing else but “23,” title track from the famous 2007 album. As the Pace brothers slipped behind the curtains and out of sight, Makino continued to bow in turn to each ribbon of the crowd and blow strings of kisses. It’s no wonder that Blonde Redhead gathered such a steadfast and loving fan base; there was a beautiful feeling of mutual respect and admiration in the air that left the crowd smiling and rosy-cheeked. 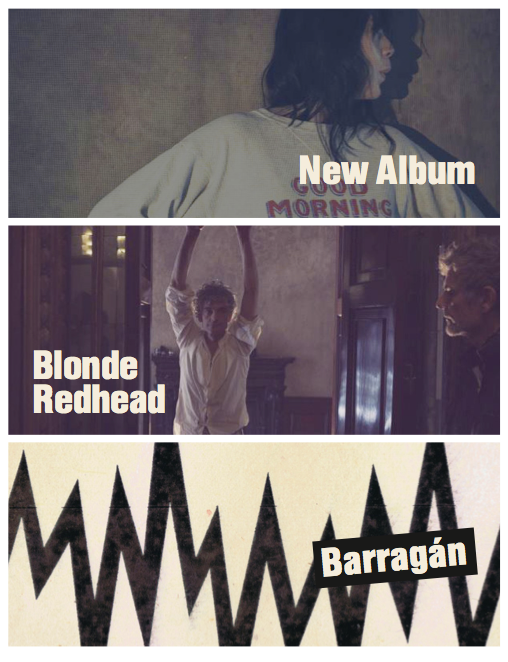 With the release of “Barragan,” and their consistently impressive live performances, the members of Blonde Redhead continue to hold their roots as one of the most artistic and endearing groups of recent years. This entry was posted in Show Review and tagged American, Blonde Redhead, Frannz Club, Show Review. Bookmark the permalink.